These Chair Back Covers are great for sporting events, teams, gatherings, celebrations, reserved seating, and more! 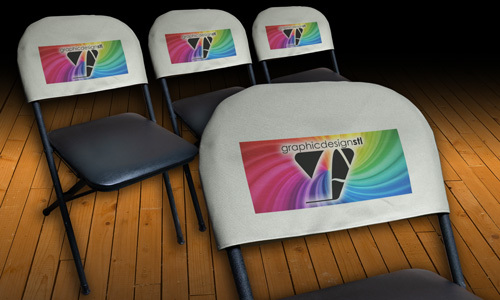 Print your logo or any other information on the front of these Chair Back Covers to truly stand out! These very easily slide over the back of most folding metal chairs and require no special fasteners so easy on, easy off! The overall size of the covers are approximately 18"x10" and fit over most folding metal style chairs. Large 10.5" x 5" printing area on 100% polyester fabric. The Chair Back Covers are a light cream color so any artwork that is printed 'may' have a slight color shift as dye sublimation inks are translucent and let the fabric color show through. 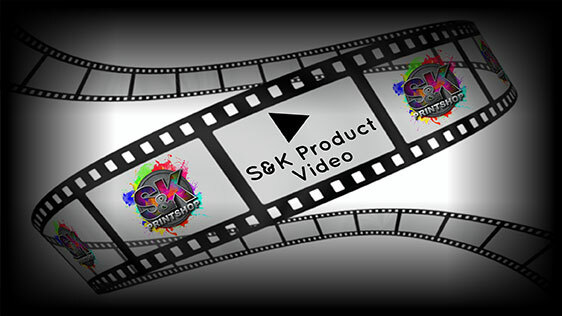 Click Here to get a FREE quote from S&K for next Chair Back Covers printing job!